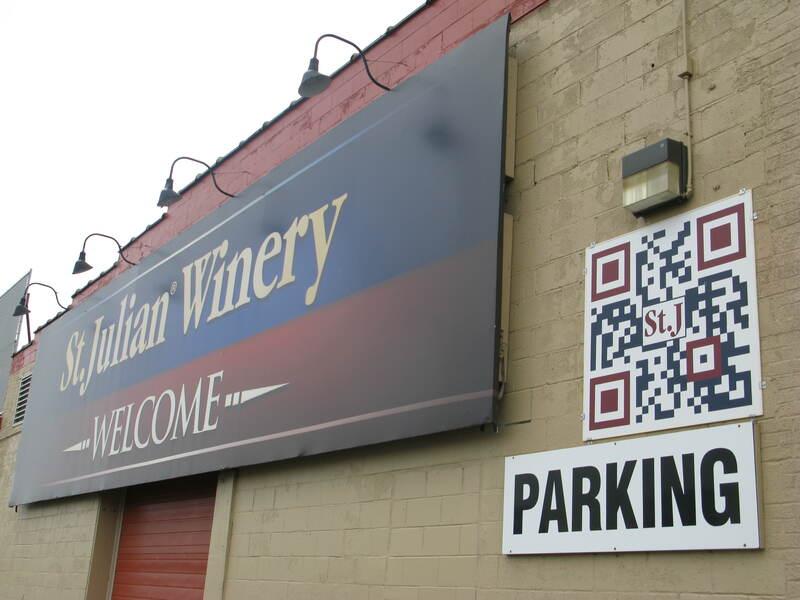 It is rare that a new winery sneaks up on you in Northern Michigan. Once locals spot a new construction site, the rumors start to spread and it doesn’t take long for the secret to get out. Due to it being notoriously hard to predict opening dates in the alcohol business, owners try to keep things under wraps until more certainty comes along. Like parents expecting a newborn, you don’t want to let the cat out of the bag too early. So I was surprised when, on a sunny summer day on the Leelanau Peninsula in 2013, I drove my tour van down the dusty driveway to L Mawby and saw the sign ‘bigLITTLE Wines Now Open.” The sign was on the fence door leading to Larry’s (the L in L Mawby) old alpine-style home that sits uphill from his tasting room. This house is a highlight on my wine tours and, as I point out, one of the ground zeroes of the Northern Michigan wine industry. Larry planted fruit and started making wine in his basement back in the 70’s (a story for another time), helping to change the face of the Leelanau Peninsula forever and turn this little patch of vino heaven into a Midwest sparkling wine mecca. It was under Larry’s tutelage that bigLITTLE was born. bigLITTLE is the creation of two brothers, Mike (big) and Pete (little) who cut their teeth working for Mawby and they both still do. 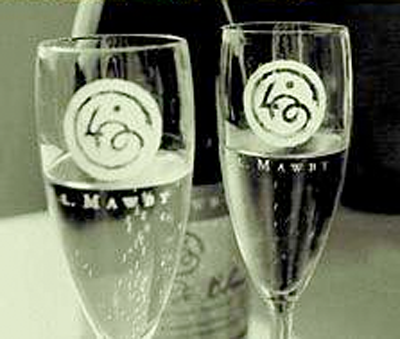 Mike is the winemaker of Mawby’s M Lawrence line of wines and Pete is the operations manager. They both came to Northern Michigan after stints in the ‘real world.” In their life before wine, Mike was a math teacher and Pete worked in the corporate world putting his degree in industrial engineering to use. But, the Leelanau Peninsula came calling when their parents planted two acres of Pinot Gris and Pinot Noir in 2003. The result of those two acres was bigLITTLE and a new style of winery in Northern Michigan, a small batch winery whose style borrows heavily from the DIY ethos of the craft beer world where a sensory approach and gut instinct make up for formal training. The result of that approach is a line of wines (both still and sparkling) that lean dry and combine the fun and freedom of craft beer with the hard-working, traditional spirit of Old World and Leelanau Peninsula wines. Like their C-3Pinot, a sparkling wine made from, you guessed it, three varieties of Pinot from their vineyard in Lake Leelanau. Or Treehouse, a cool white Pinot Noir their tasting notes refer to as getting a different look at a familiar grape. Indeed, Treehouse is made from handpicked fruit that is whole cluster pressed and aged in oak creating a white wine that drinks like a red. And then there is the Mix Tape, a blend of several varietals and one of the first wines the brothers made. ‘We take more of an Old World approach with our Mix Tape, which is a field blend. This basically means this is what we got out of the field this year so it’s going to taste a certain way. Next year, it may be a little bit different. It’s not going to be the same wine from year to year.” Pete told me. This style, letting the vineyard and the climate dictate the blend, is part of the small batch ideology at bigLITTLE, similar to what happens in the craft beer world, where the customer develops a loyalty to the brand and trust that what they put in the bottle will taste good. ‘A prime example is that the 2014 Mix Tape. It is a more Riesling-heavy blend (due to the extreme cold of the 2013/2014 winter). 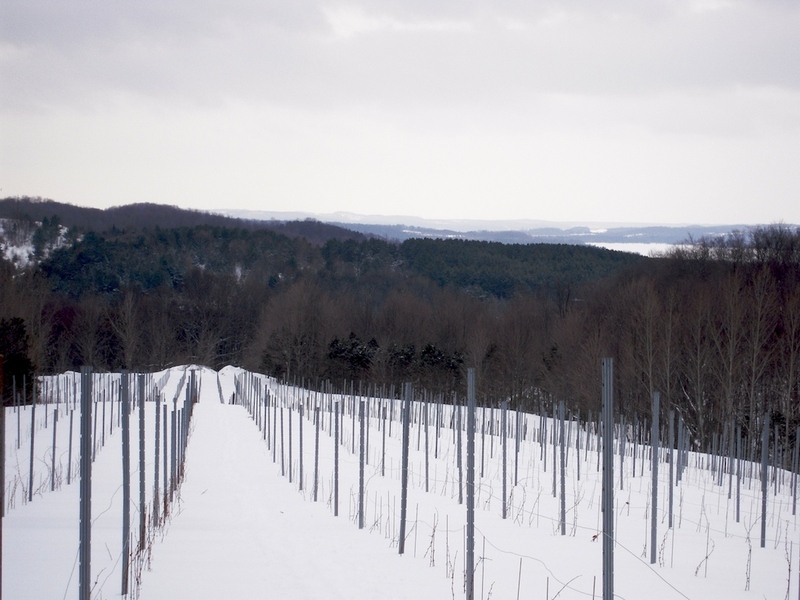 Riesling is more cold-hardy so we got more of that than Pinot Gris and Pinot Noir last year. That could totally change next year.” Pete explained. bigLITTLE currently makes about 1,000 cases a year, which puts them on a slightly smaller scale than the average Leelanau Peninsula winery. But production should increase with the planting of ten new acres in the future. A promising sign for the Northern Michigan wine industry is that it is producing a new generation of winemakers and innovators to keep up with those buyers. From the modern website to the creative labeling and merchandise, bigLITTLE is blazing a new path. 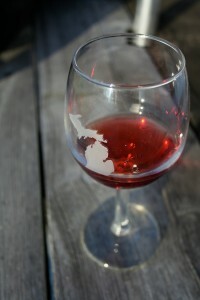 But, it isn’t so much a passing of the baton as it is an extension of Michigan winemakers’ ability to adapt and experiment in a region that is still evolving and trying to make a name for itself. The brothers seem thankful to be a part of this evolution. ‘We are very fortunate to have a really strong association with such a prominent, highly regarded brand. Larry has done such an amazing job building that up over the years. The barrier has been broken somewhat for us.” Pete said. But, back to that sunny day in 2013. As my tour group left bigLITTLE, I wandered in and introduced myself to Mike who was pouring the day’s complimentary taste at the door (which I unfortunately had to decline). It was busy and we didn’t have much time to talk but I heard enough to walk out with a bottle of Tire Swing, a blended brut bubbly. When I got home, I cracked the bottle and sat on my deck watching the tall red pines sway in the late afternoon breeze blowing in off Lake Michigan. With notes of apple and pear dancing in my mouth, I toasted bigLITTLE for making life Up North that much better. It’s not everyday you stumble across a new winery like this. Author Bob Lovik is the owner and tour guide at Grand Traverse Adventure Company in Traverse City, Michigan. Bob says wine from the Leelanau and Old Mission Peninsulas tastes a little better after you know more about Northern wines and the people who make them. In addition to wine tours, Grand Traverse also offers adventure tours and craft beer tours. Very interesting! I liked his comment: ‘We’re very aware of what happened last year with the cold conditions. The next challenge for this region is figuring out what will grow well here. The newer, next generation of wine buyer is going to be a little more open to something they’ve never heard of.” Perhaps, with two “killer” winters back-to-back, we’ll now see some plantings of Cornell and Minnesota hybrids; that would be exceptionally cool. That quote form Pete from bigLITTLE impressed me with his spirit of adventure and innnovation. Cold hardy grape growing and winemaking is the cutting edge.